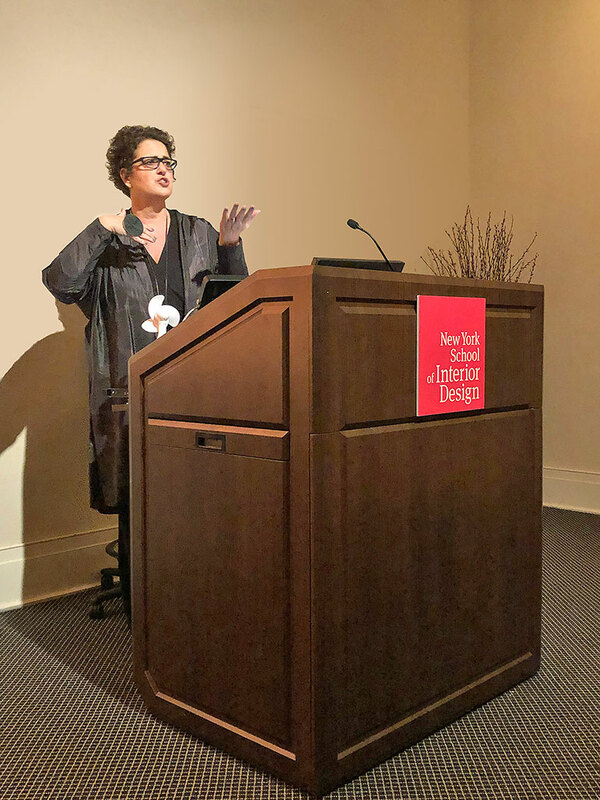 Interior Design editor-in-chief Cindy Allen braved last night’s frigid weather to deliver a sold-out presentation to students, staff, and visitors at the New York School of Interior Design. 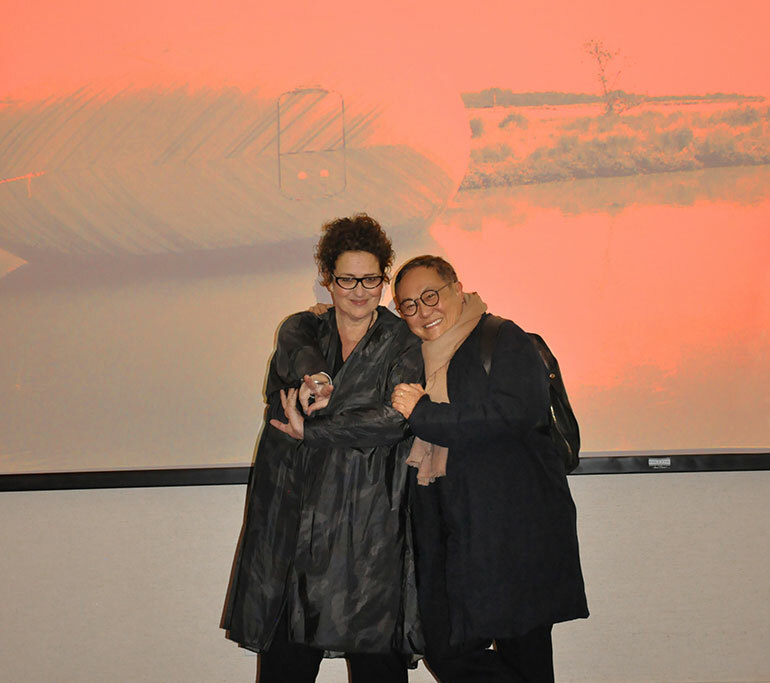 Over the course of the evening, she spoke with the next generation of interior design talent about the intersection of media and design through the lens of Interior Design’s annual Hall of Fame awards. To drive the point home, Allen went on to present her own "design idols" who are Hall of Fame honorees. In what she called “the People magazine” portion of the presentation, she detailed the career highlights of Patrick Jouin, Anda Andrei, David Rockwell, Kengo Kuma, Lisa Iwamoto and Craig Scott, Marcel Wanders, and Patrick Tighe. Afterwards, Allen engaged with NYSID students, giving handshakes and photo-ops in equal measure. If you couldn’t make it, check out a few of the evening’s highlights below. Cindy Allen with Calvin Tsao from architecture firm Tsao & McKown. 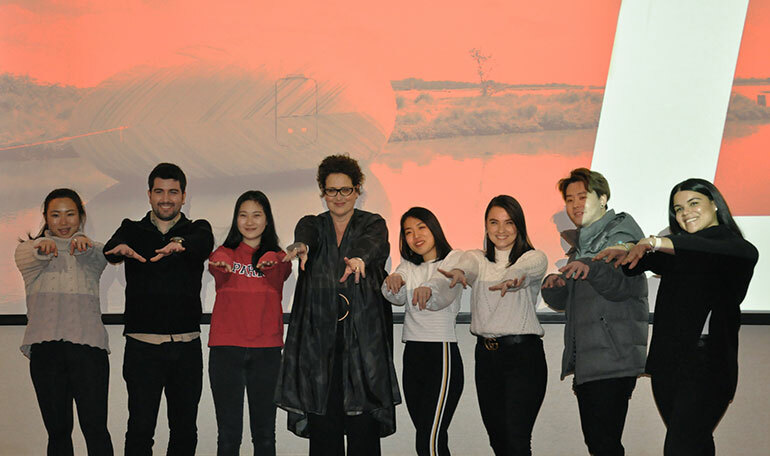 Cindy Allen with NYSID students. 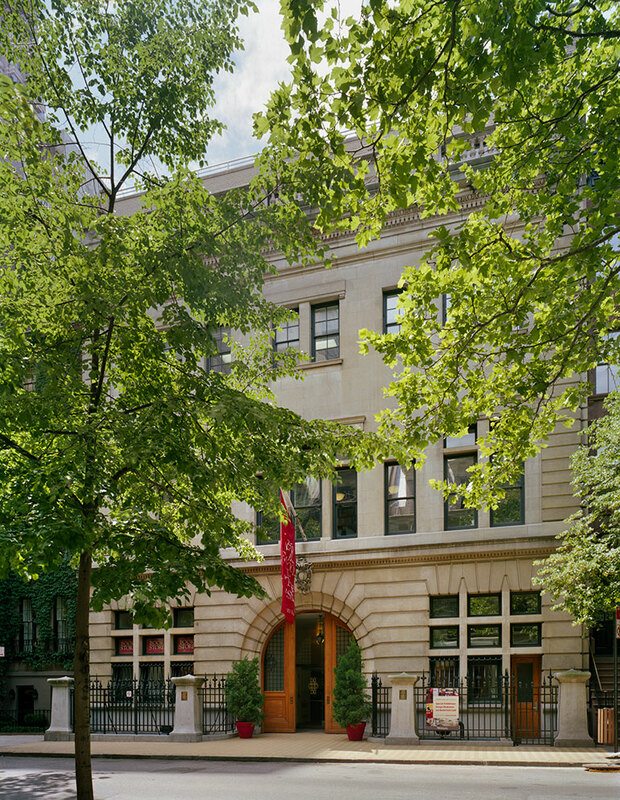 Courtesy of New York School of Interior Design.